There is a program running in my head. It’s one that I’m working to embed at the deepest levels of my psyche, so that it runs on auto pilot in my sub-conscious. I call this program Having it All! This program reminds me that whatever I desire, I can have, so long as I believe with all my being, without resistance, without doubt, without self-sabotage that I am worthy of receiving. If you’ve been following my blog the last few weeks, you’ll know this topic of subconscious influence has displayed prominently. From sharing the power of personal mantras to how childhood programming can create limiting thinking, I want you to understanding the power your sub-conscious mind exerts over your daily life. Becoming mindful of your subconscious thinking is the first step in putting the brakes on self-sabotage and creating a the life you have always wanted. Carl Jung, the Swiss psychiatrist and psychotherapist, developed the concepts of extraversion and introversion; archetypes, and the collective unconscious. His teachings encourage us to understand the deepest aspects of our psyche to achieve a very important goal: directing our life as we desire rather than accept the consequences of our subconscious thinking. 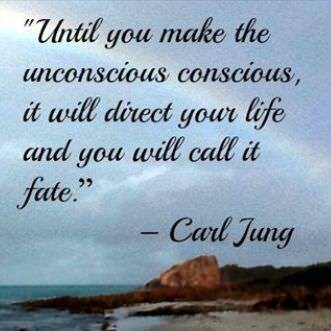 Where does all the unconscious/subconscious programming come from? Everywhere. As children, you hear information disseminated as facts by parents, relatives, friends, teachers, neighbors, politicians, and representatives from your church and community. Information about what is good versus what is bad; what is interesting versus what is not; what to believe versus what not to believe. Because you are learning and growing, you accept the information without question. That information becomes ingrained into your belief system. Like a television that is on in the background, this belief system is running in your subconscious mind. Maybe you’re playing a track that says you have to work hard to get ahead. Maybe your track says that if you’re in love with someone of the same gender that you are going to hell. Maybe your track says that men are better at math than women. Maybe your track says that you aren’t good enough to run your own business. Maybe your track says every idea you have is doomed to fail…. 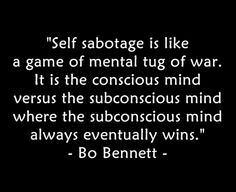 Bo Bennett, author of Year to Success, equates the challenge to a game of mental tug of war where the subconscious mind always wins because its program is always running on loop. The conscious mind holds one thought at a time and sometimes turns off, relying on the subconscious autopilot to carry on. Have you ever been driving a car for a long period of time and realize that you aren’t even paying attention to the road? That’s an example of your conscious mind turning off and your auto-pilot (subconscious mind) taking over. So when you set a goal, one minute you may believe you can and then your conscious mind turns off and you go back into your pre-programmed mode that says you can’t. It is vitally important to identify where you have pockets of doubt in your belief system because this doubt is programmed into your subconscious thus creating resistance in your daily life. Only by understanding, at the deepest levels, what you believe about yourself (and life in general) will you be able to reprogram that doubt and become the deliberate creator of your destiny. How do you uncover your resistance? Here are three ways to determine the limiting programming holding you back. 1) Pay attention to your self-talk. If what you hear yourself saying is disempowering and negative, you are living by a limiting program. I’m so stupid! I can’t believe I did that. I’m never going to get ahead. Why did I ever think I could start a business. I’m too frightened of failure to take a chance like that. I could never be that successful. 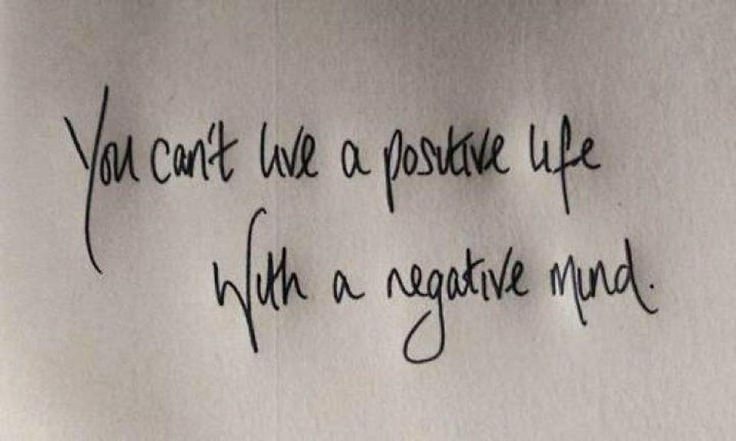 When you catch yourself thinking or mumbling negative thoughts stop yourself. Lovingly acknowledge that those thoughts are coming from old programming. 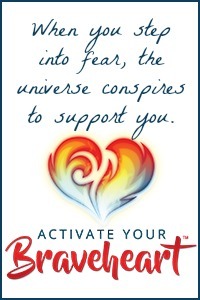 Remind yourself that you are in the process of reprogramming your thinking to empower your joyful living. State what you really want to believe, what you really want to feel. I have never felt braver! Success is so much easier than I ever imagined! I love having a joyful life! 2) Pay attention to your body. If you get lots of headaches, tire easily, have difficulties sleeping at night, and feel restless and/or depressed, it could indicate that your life is out of alignment with your authentic purpose. When you are not happy, physical symptoms manifest. Keep a journal of your physical symptoms. When do they show up? What were you doing at the time? Who were you talking to? How did you feel? What worries are you carrying? It shouldn’t take long for a pattern to emerge. And when it does, you’ll know what areas of your life to focus on first. One small change at a time creates a whole new life over time! When signs show themselves repeatedly, it is no coincidence! Take inspired action and know that there is room in our world for every kind of art — especially yours! Going through this process of identifying your limiting thinking is the first step. Reprogramming takes vigilance and time. It’s just a matter of being mindful of your thoughts and gently, lovingly redirecting them whenever the thought limits your boundless potential. When you hear Change is scary tell yourself instead Change is exciting! That’s where new opportunities and friends reveal themselves! When you hear I’m not good enough tell yourself instead I’m more than enough! When you know what you want, don’t let anything stand in the way of success — especially YOU! 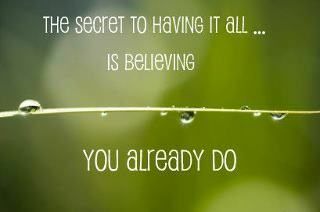 The secret, of course, is in believing. If you don’t believe in you, how can anyone else?